The classic children’s sweet affectionately known as “Puppy Chow” (or aka Muddy Buddies for the General Mills version) is back and it’s all grown up. Chicago-based WowChow Snacks offers an authentic and original take on this childhood favorite, bringing sustainably sourced dark chocolate and pure nut butters into the mix. 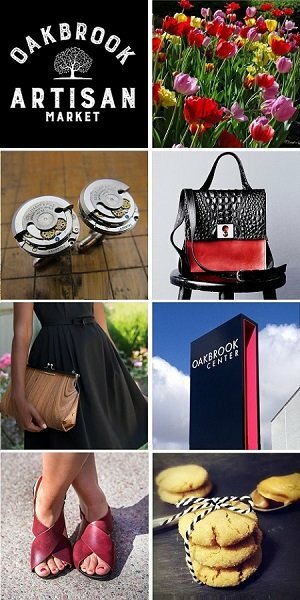 Elizabeth Zellner, founder of WowChow Snacks will be joining 100+ artisans in food, fashion, home goods + art at the Chicago Artisan Market at Morgan Manufacturing (401 N. Morgan St., Chicago) on Sunday, December 2, 2018 from 10am-4pm. How are WowChow Snacks made? Dark Chocolate Sea Salt: An authentic take on the American classic puppy chow, Dark Chocolate Sea Salt is packed with flavors of pure peanut butter and dark chocolate, a mouth watering combination. To compliment the sweet, classic flavors, they add a hint of sea salt to enhance the chocolate-peanut butter duo. Almond Coconut: For a tropical take on the childhood inspired snack, the WowChow Almond Coconut flavor is made with pure almond butter and dark chocolate. A final dusting using coconut milk powder adds a tropical twist. Hazelnut Raspberry: Refreshingly bright and bold, the Hazelnut Raspberry WowChow is packed with the smooth combination of pure hazelnut butter and dark chocolate. To brighten the flavor with a fruity and sweet taste, freeze dried raspberry powder freshens the palette with each bite. 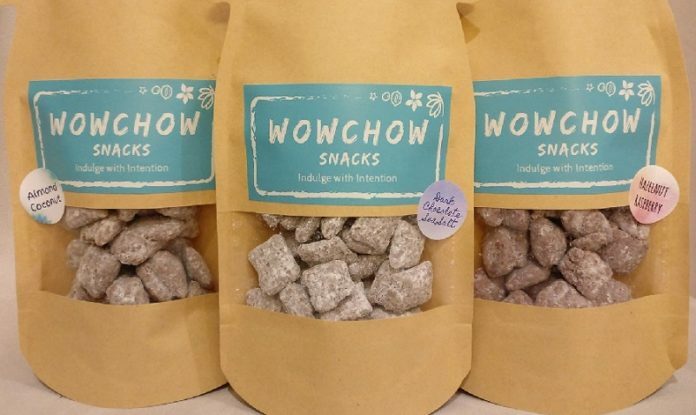 WowChow Snacks emphasizes its use of high-quality, locally-sourced ingredients that appeal to both conscious consumers and their taste buds. The founder, Elizabeth Zellner, left corporate life to finish an MBA at the University of Chicago and pursue her dream of starting a venture. The company officially launched in March of this year and hopes to share this timeless treat with the world at large, supporting the local Chicago community along the way.